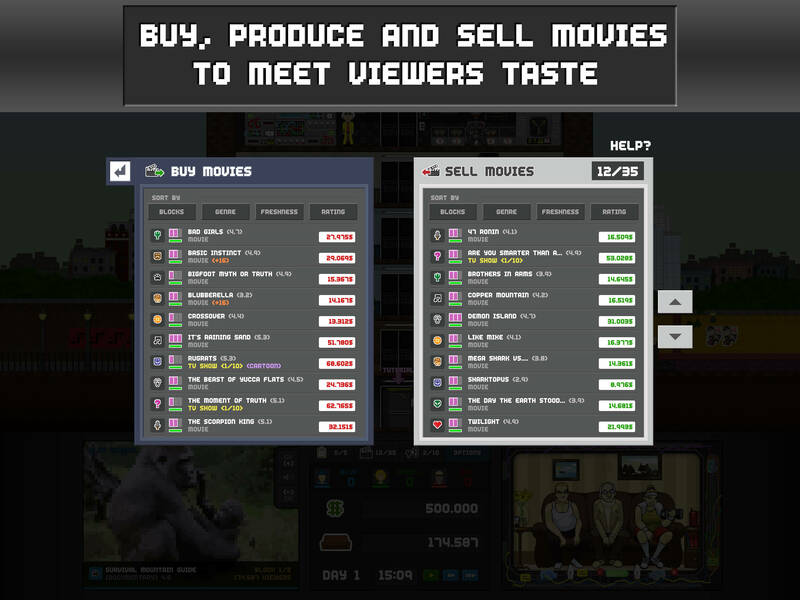 - Distribute your resources in the best way that you can think for each available movie genre. 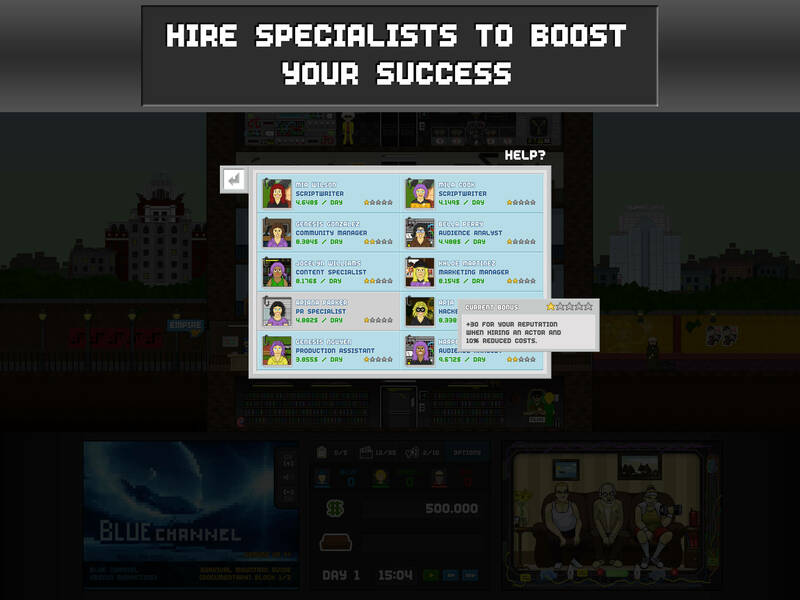 ***Empire TV Tycoon is compatible for Tablets and Smartphones. 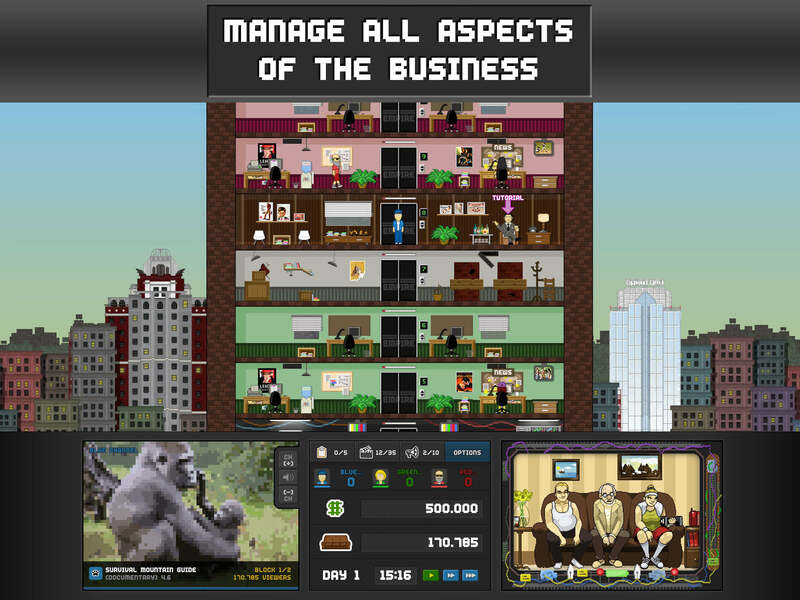 In Empire TV Tycoon you manage a television channel and take on the fight for audiences while leading your business to fame and fortune. 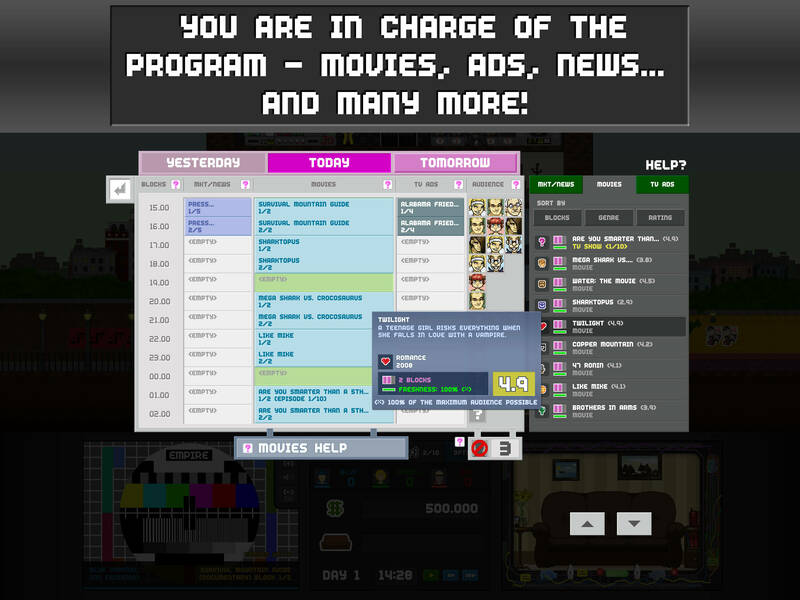 You will choose the content of your channel, select advertisers, hire staff and actors, manage your own show productions, and much more! 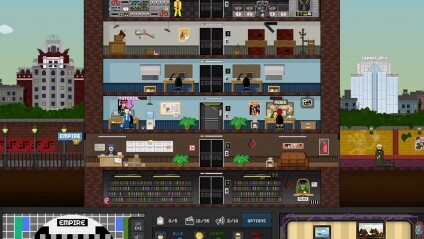 The game was inspired by games like Mad TV, Mud TV and other movie management games, with a modern approach on how to produce custom content like movies or TV shows. Yet you better not be tempted to use illegal content! Just like in real life, pirated movies may be cheaper, but the risk of using them is high and police forces are always on the alert. Each audience group has their likes and dislikes. Make them happy and your fame will grow, make the wrong choices and your channel will never be talked about again. While you work your way through the markets, your advertisers will increase their demand and possibly request the impossible – it is up to you to fulfill their requests. Your walk of fame will also rely on the proficiency and level of expertise of your staff, so always keep an eye on them! Not only will you produce TV shows, you will also produce and direct movies that are based on personalized and randomized movie scripts with lots of combinations fitting every genre. Your work as a director will influence the quality of the productions’ outcome , last but not least because you know how to handle the strengths and weaknesses of conceited or frustrated actors as well. For even more publicity and success with your movie business, you will submit your productions to top notch industry awards in different categories. iOS 8.0 or later. Compatible with iPad.